MainAll NewsTechnology & HealthIsraeli startup: Is the water safe to drink? Israeli startup: Is the water safe to drink? 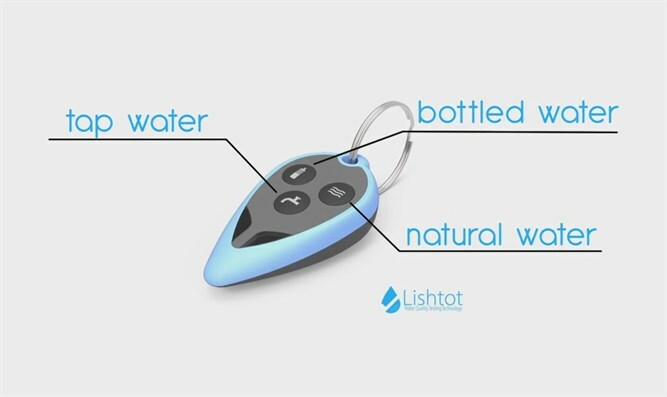 Lishtot TestDrop Pro is the first personal water detecting device. The Israeli company is presenting its development this week at CES 2019. The Israel Export & International Cooperation Institute (IEICI) and the Foreign Trade Administration (FTA) at the Israeli Economy and Industry Ministry are hosting the Israeli Pavilion at the CES Tech Expo in Las Vegas. Arutz Sheva had the opportunity to meet Netanel Raisch, CEO & Co-founder of Lishtot Detection before leaving to the event in Las Vegas. Lishtot TestDrop Pro is the first personal water detecting device. At a retail price of $50.00 and an ex-pected lifetime of at least 5,000 tests, the TestDrop Pro allows you to test your water for about 1 penny per test. Lishtot's proprietary technology platform uses electric field sensors to determine the profile/quality of a given water sample. This technology is at the heart of all of Lishtot's water quality detection devices, including the TestDrop Pro and the follow-on TeStraw and TestPipe. Lishtot's technology is premised on fundamental chemical principles; the interplay between water and a testing cup generates a distinctive electric field. Contaminants present in the water will cause interference, leading to the creation of a distorted electric field.